After passing the wonderful Indian summer days, we now have to face cold and rainy days. I love to snuggle into warm and cozy wool clothes to hide away from the mucky weather. As in each season I would like to share my favorite pieces with you. Some of them are payable and others priceless. Even though not affordable, I love to be inspired and to find similar items that are not that expensive. 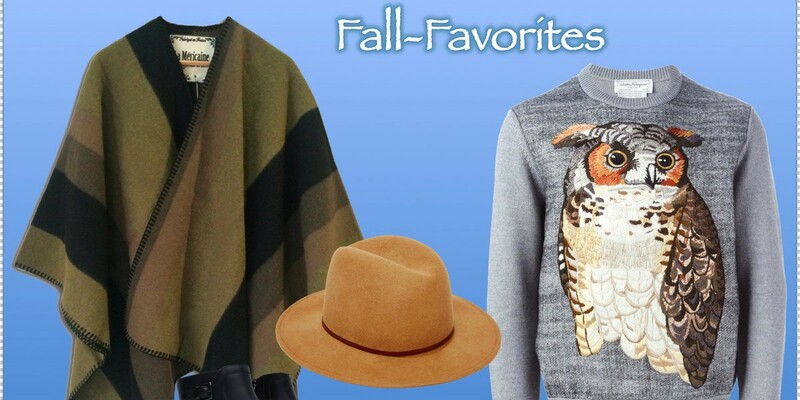 My favorite piece this time is the 2300€ expensive owl sweater from Salvatore Ferragamo. I love the different shades of grey combined with the animal motive. As much as I love the piece I have to confess that the price is to high to call the sweater my own. Nevertheless I took the chance and tried on the sweater in store. In contrast to the priceless sweater I bought black leather shows from Zara for 99€, a cape from La Méricaine, made in France for 220€ and a wool hat by Catarzi for 50€ to complete my fall wardrobe for this season. Underemployed1 on Postcard from…? Cuba and Mexico! Launna on Postcard from…? Cuba and Mexico!